The Blue Mountains, also known as the Blueys, has some of the most scenic and unique views in Australia. 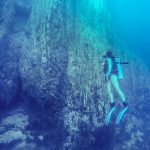 They are named because of their blue tinge, from the ultra-violet rays that are scattered by the air particles, giving an effect of a blueish color. 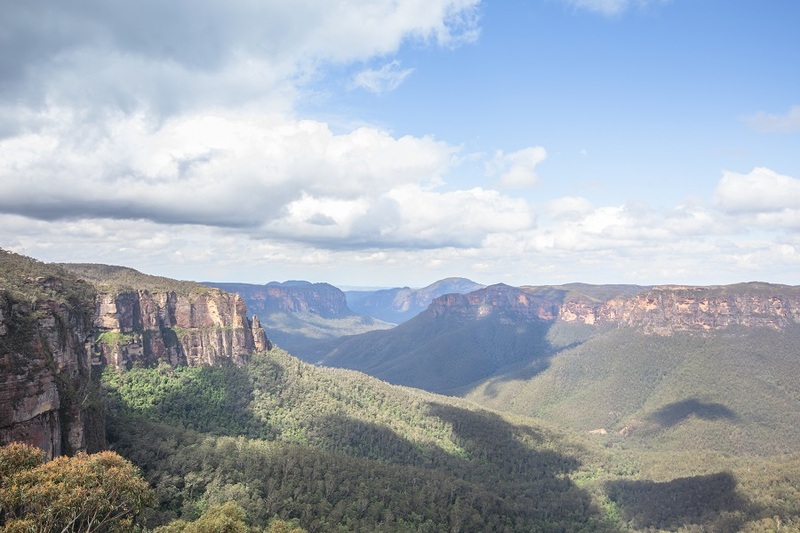 The Blue Mountains are located only 50 km west of Sydney, making it only an hour and a half drive from the CBD. Although there are plenty of beautiful hikes; the overlooks are a great way to explore the area. 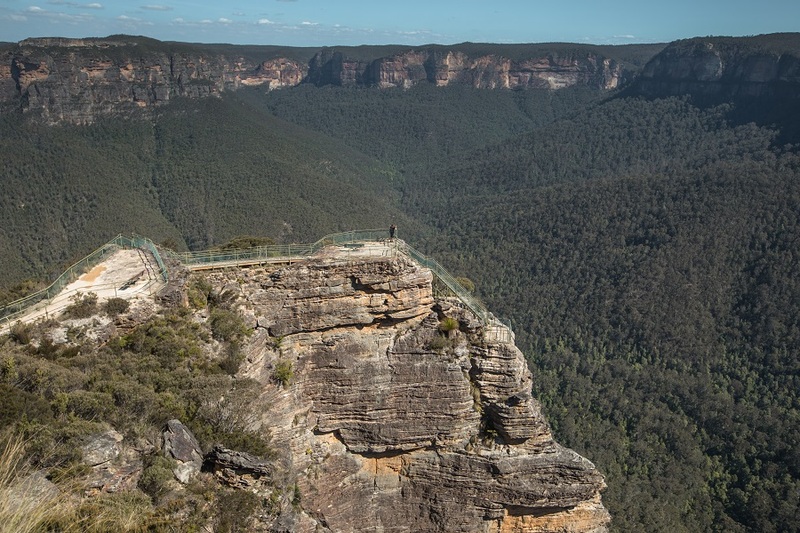 Listed below are the best overlooks in the Blue Mountains, New South Wales. 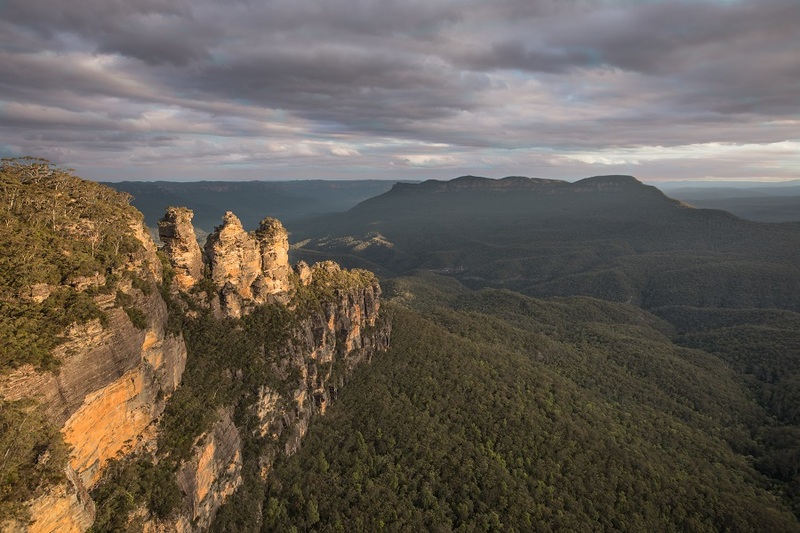 The most popular lookout in the Blue Mountains is the iconic Three Sisters overlook, also known as Echo Point. Although busy, the viewpoint is perfect for sunset as the sun shines on the three sisters before falling behind the mountain horizon. A 10-minute walk from the overlook leads to a small footpath to a bridge connecting the first two of the three sisters. My favorite spot to photograph from is the lower level at overlook. The most unique and one of our favorite lookouts in the Blueys is Pulpit Rock. 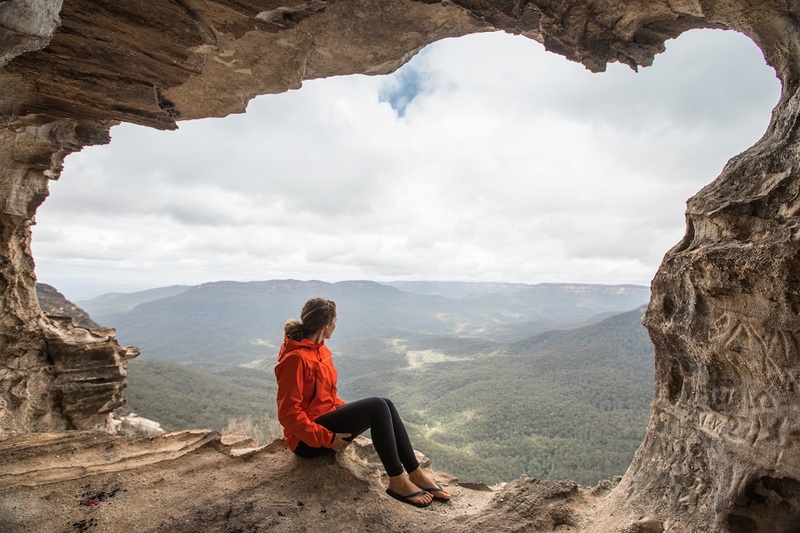 The panoramic views of the Blue Gum forest are stunning, but the real wonder of this viewpoint is the lookout itself. Pulpit Rock is a massive rock that juts out into the valley and the trail to the overlook follows the ridge of the rock. If you follow till the end you’ll be rewarded with some amazing views. This overlook is great to avoid the crowds as it is not as busy as the other viewpoints. There a good 1-hour walk that is between the Govetts Leap track to the Pulpit Rock overlook. My favorite place to shoot was at the top level before the trail leads down to the cliff edge. Lincoln’s Rock lookout is a great stop with expansive views. This lookout has several prior names; such as Honeymoon Rock, Wedding Rock, and Flat Rock Overlook. The large flat rock is worth a stop, but our favorite part takes a little bit of scrambling to get to. A small trail at the far left side of the rock descends down the cliff. A precarious cave no larger than an SUV vehicle sits along the edge of the cliff. It takes some climbing to get to it but is worth the effort. 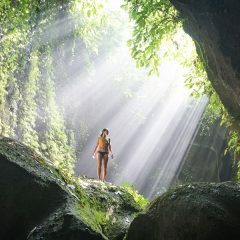 The cave has a perfect view and is different from any of the other lookouts in the area. Govetts Leap is as picturesque as it gets for the Blue Mountains. 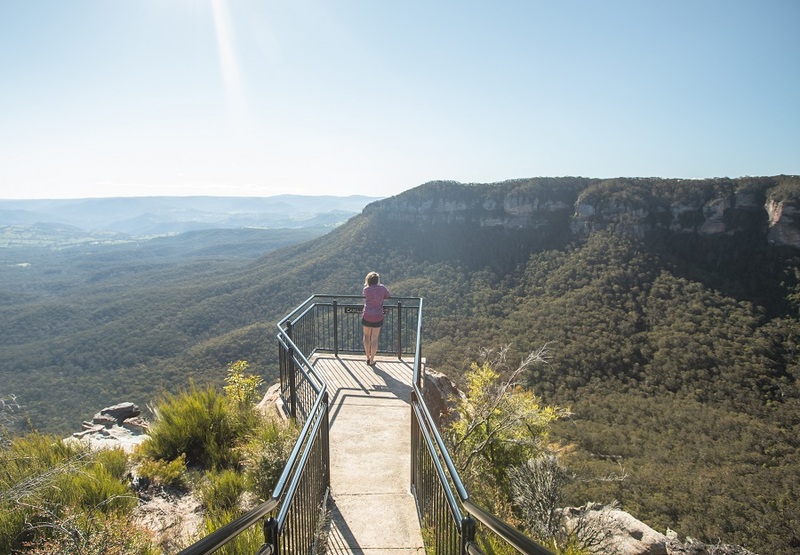 This classic overlook features panoramic views of the Blue Gum forest and the plunging Govetts Leap Falls. Trails lead along the ridge to other overlooks such as the one-hour hike to Pulpit Rock Overlook or a 15-minute walk to the Barrow Lookout. 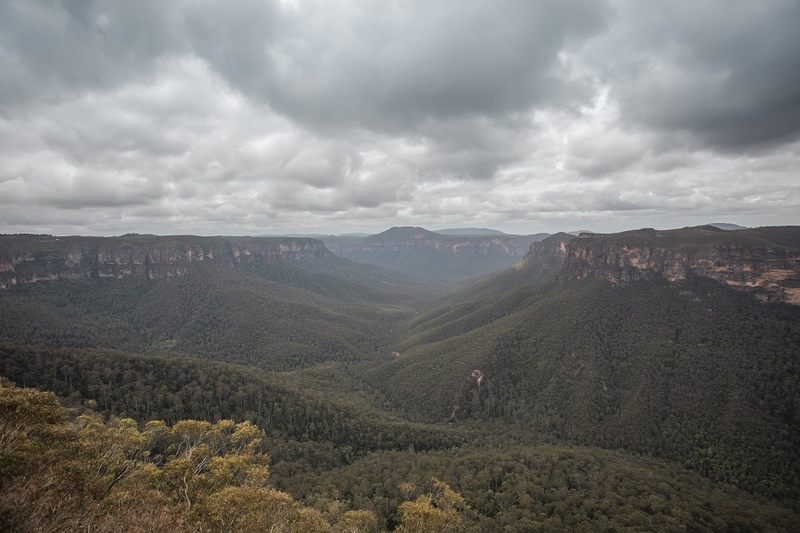 This is also the start of the Williams Track, which descends into the Grose Valley to the bottom of the waterfall and connects with the Blue Gum Track. My favorite spot to shoot is directly in the center of the Govetts Leap overlook, looking down on the Grose Valley. 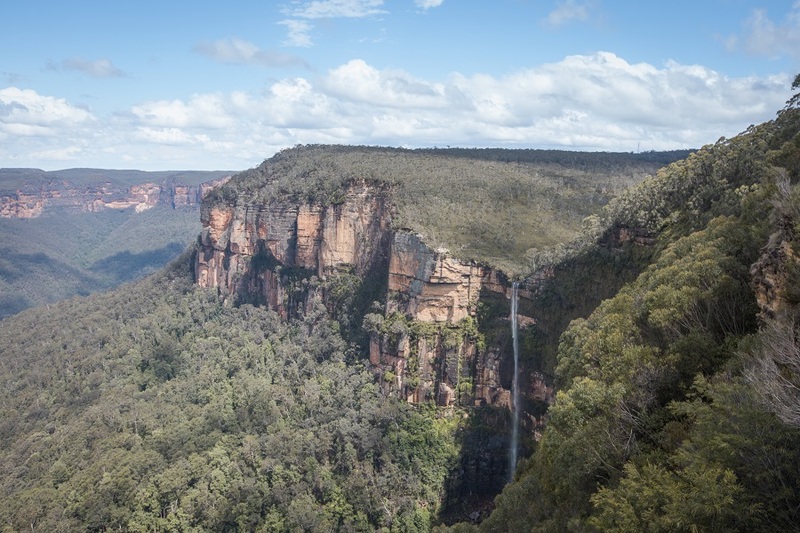 A short descent down the Williams Track also provides excellent views of the cliff walls and the Govetts Leap Falls. Another iconic viewpoint is the Evans Lookout. The panoramic viewpoint has beautiful valley views leading to the Rodriguez Pass. This is also the location for the start of the Grand Canyon Trail, a 3-hour loop trail through a lush canyon. Cahill’s Lookout is a wonderful spot with several different viewpoints. Concrete trails lead to about four or five different viewpoints of the valley, each offering unique perspectives. My favorite viewpoint at Cahill’s Lookout was the furthest viewpoint on the right. In addition to all the awesome overlooks and spots to photograph in the Blueys, some of the best ways to enjoy these mountains are by hitting the trails. 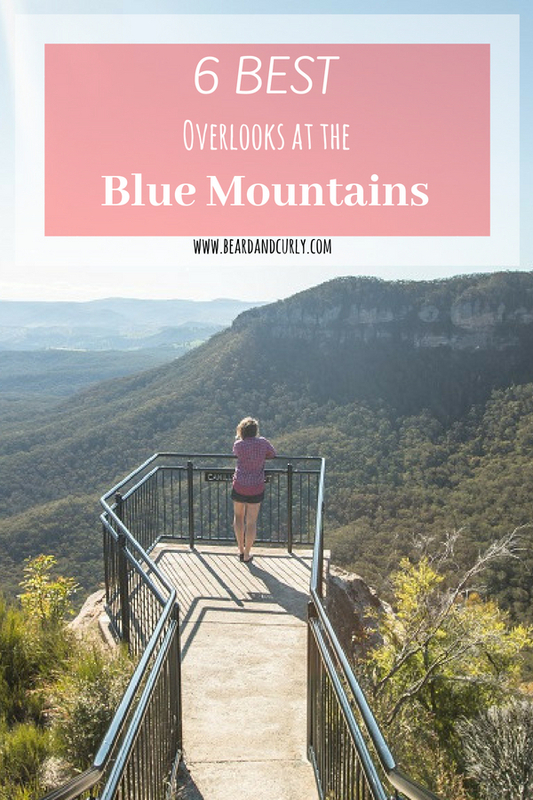 There are dozens of awesome hikes in the Blue Mountains, from waterfall hikes, epic viewpoints, gorges, lush canyons, and multi-day treks. 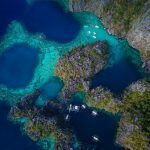 Check out our article on our top five hikes in the Blueys!